What the Heezy? Microwaveable Slippers! You will NEVER find me microwaving ANY type of slippers! 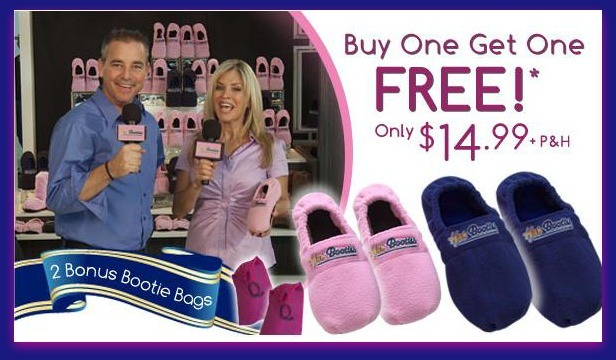 I came across a very disturbing TV commercial while working on one of my blogs –> the Hot Booties! Yucky, Barf, Gross, Eeek, Ewww...finally Wakala (Dominican term for disgusting)! I’m sorry if I’m coming off a bit strong but this is just plain disgusting. I don’t care if the booties are slipped into a bag. Will you ever buy a pair of the “Hot Booties” ?? ?